Parks & Recreation Event Entertainment - Partner With Party Trailers for Your Next Local Event! Make your next local event one to remember! Are you a Parks & Recreation program coordinator, activities coordinator, or event coordinator looking for ways to spice up your event calendar? Party Trailers is ready to help! We’re a team of party and event professionals who are passionate about connecting people in our local communities. Our party trailers are a great way to make your event fun for everyone and easy to run! We have several packages available, and we will work with you to cater the experience to your specific event entertainment needs. Make it one for the books! Why partner with Party Trailers for your event? Our state-of-the-art equipment gives us the flexibility to cater to any crowd! We regularly host successful birthday parties, tailgating parties, nonprofit fundraisers, corporate events, and even wedding receptions. No matter the mood, we can provide the entertainment. Give us a call to learn more! We provide everything you’ll need. You can contact us or review our sample packages to get more information about everything we can offer for your event! Our equipment and facilities are safe and clean. We are current on all mandated licenses and keep our equipment in excellent shape. Our concierge attendants will assist during the event to ensure every guest’s safety and keep everything clean and organized! All of our party trailers are 100% mobile, so we can bring the party straight to you. 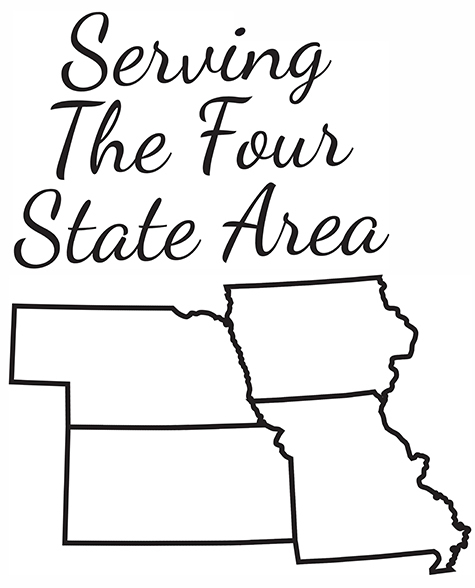 If your event is anywhere in the Four-State Area, we will travel to you. We will arrive early, set up everything we need, and clean up everything before we leave, so you don’t have to worry about picking anything up, renting anything out, or managing setup and tear-down — our comprehensive party trailer packages provide everything you’ll need! We’ve partnered with local organizations to host many successful events! We have demonstrated experience working with organizations including the Missouri Park & Recreation Association to put on successful events like Movies in the Park. If you’re looking for a way to spice up your next art benefit, outdoor movie event, local festival, or more, consider partnering with Party Trailers, LLC. We are passionate about bringing local communities together, and we’d love to work with you to make your next event a smashing success. If you have any questions or would like to get started, contact us now!